Now that BMW has released all the details and specifications we need on the 2019 Z4, even launching a configurator, it creates a unique opportunity to gain insight on what to expect from the MKV Supra it shares a platform with. Especially as the Supra reveal is right around the corner. BMW and Toyota has committed to making these two very different cars (unlike the BRZ and FRS deal), even though they share a chassis and powertrains. Tada-san put it best, "Toyota wanted to make a pure sports car, and BMW has a slightly different direction”. So far its been reported that an electro-mechanical locking differential among many others are what they'll share. Being an essential part to differentiate their characteristics, expected to leave the Supra not intuitive like the Z4, but as well connected and responsive as any pure sports car should be. Like many shared components with the Supra and Z4, the chassis will be tuned differently even right down to software, all this to deliver on the Supra's pure sports car experience. Key points reported to take away are its center of gravity that sits lower than the Toyota 86, rigidity that rivals the legendary LFA and 17 to 19 inch wheels with 255 to 275 wide tires will keep help keep the Supra planted. When questioned by publications on ways to variate the Supra, apparently anything reasonable that consumers want, Toyota might offer. One of those being bigger wheel/tire options depending on demand. 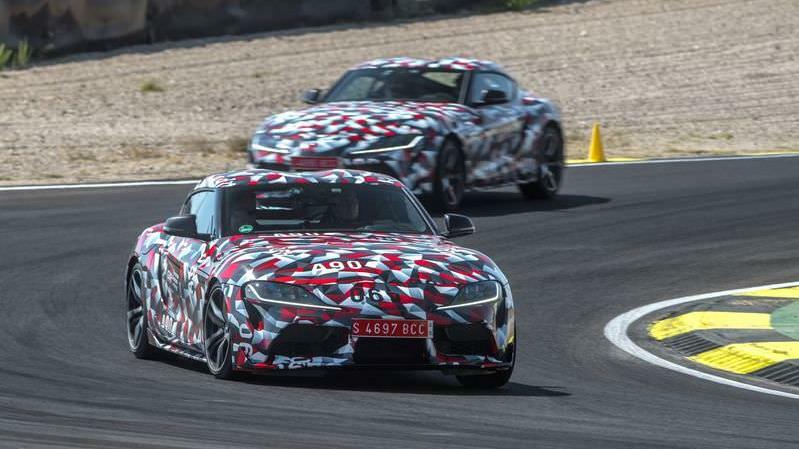 BMW sourced engines will be found in the all-new Supra, a downside to some Toyota purists, but plays into what we loved about past Supra generations. BMW’s B58, a twin-scroll 3.0-liter engine already found in a number of BMW products should deliver no less than 360 hp in the Supra. Combined with its curb weight of under 3,300 LBS and 50/50 weight distribution its easy to see how the classic formula lives on. 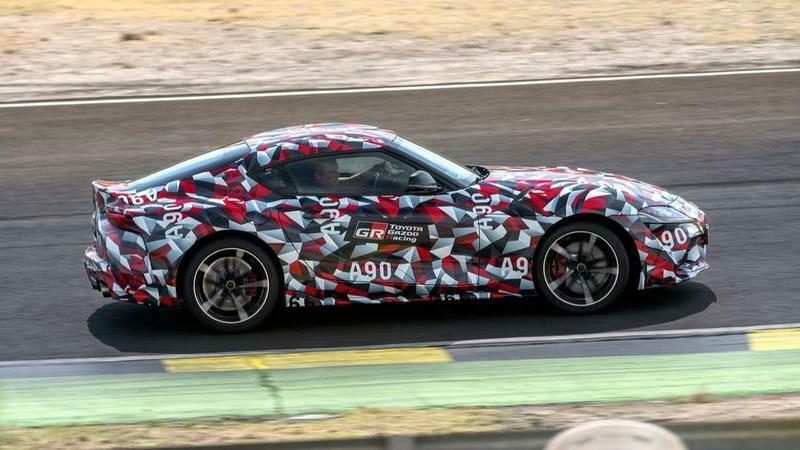 First drives of the "90-95 percent finished" Supra prototype suggests it feels fun and fast which makes up for its unengaged feeling in other areas when track tested. 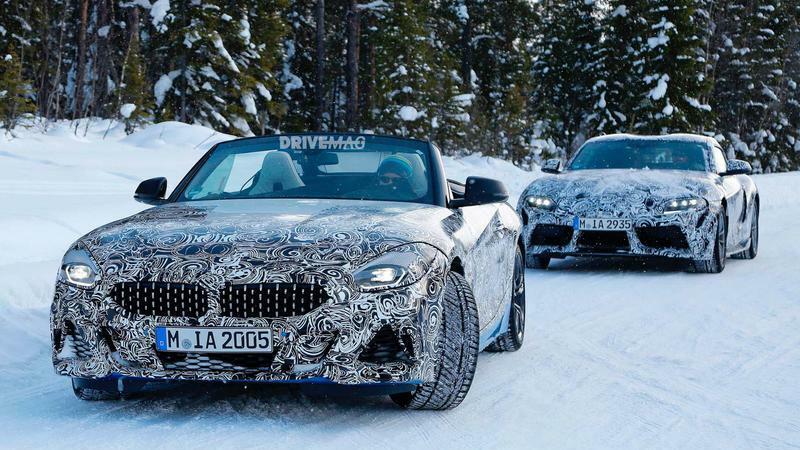 To complement the new chassis’ increased capabilities, the new BMW Z4 Roadster arrives in 2019 first with a new, more powerful 2.0 liter four-cylinder TwinPower Turbocharged motor featuring an increase of 15 hp and an impressive 35 lb-ft of torque over its predecessor. The updated BMW engine package include a High Precision Injection system whose maximum pressure has been increased to 350 bar / 5,076 psi. The TwinScroll turbocharged engine under the hood of the new BMW Z4 sDrive30i delivers an output of 255 hp between 5,000 and 6,500 rpm, with peak torque of 295 lb-ft. available from 1,550 up to 4,400 rpm. The result is a 0 to 100 km/h sprint time of 5.3 seconds. For those seeking even more exhilarating performance, the all-new 2020 BMW Z4 M40i Roadster’s 3.0-liter six-cylinder in-line engine delivers instantaneous response, an appetite for revs and smoothness while offering an increase of 47 hp over its predecessor. The new 6-cylinder engine’s standout features include a water-cooled exhaust manifold integrated into the cylinder head, quicker TwinScroll turbocharger response and direct injection technology which now works at increased maximum pressure of 350 bar / 5,076 psi. Drivers have 382 hp at their disposal between 5,000 and 6,500 rpm, plus 369 lb-ft. of peak torque from 1,600 to 4,500 rpm. The BMW Z4 M40i Roadster sprints from 0 to 100 km/h in just 4.5 seconds. The most distinctive of both models are clearly design related. One is a Coupe, the other a Roadster. BMW coming from consistent production of the Z4 with few gap years like Toyota, design followed other new and refreshed BMW products showcasing a new design direction. In the Supra's case, paying homage to a number of products (2000GT, all Supra generations, etc.) while staying relevant in the decade ahead results in the production ready prototype we see today. Unfortunately front and rear ends have little resemblance to the MKIV Supra but its side profile will win over Toyota purists. A recent parts guide leak confirmed what spy shots have been showing. 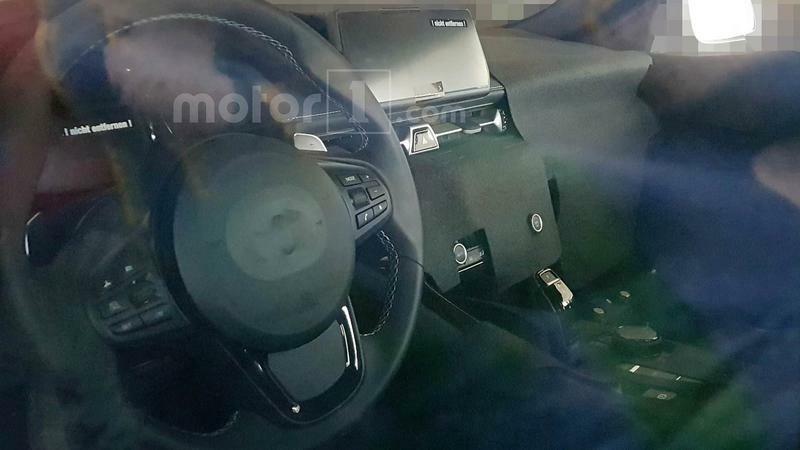 Also confirmed with the recent parts guide leak is the interior that shares a lot of design cues with its BMW counterparts. Unfortunately its not nearly driver focused as the MKIV or MKIII, instead similar to the new Z4. 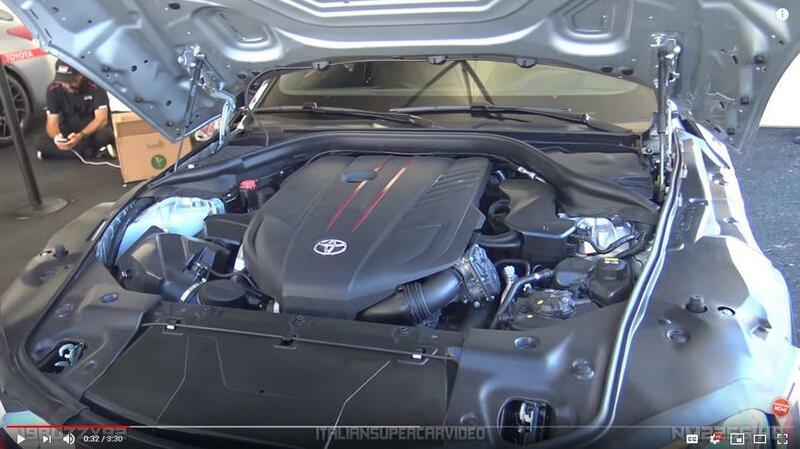 Fortunately its one of the only areas that aren't entirely unique to the MKV Supra but likely to change as we move up trim level, especially into higher tier GR versions reported to come. Overall, its a clear winner even with limited information from Toyota currently, but that will change next month at 2019 North American International Auto Show. The new BMW Z4 comes standard with electric sports seats featuring integral head rests. The seat rails have been extended in length by 23 mm over those in the predecessor model, allowing the seats to be adjusted over a greater range. The optional M sports seats include electro-pneumatic backrest width adjustment to optimize lateral support through high-speed corners. The practicality of the new BMW Z4 Roadster has been increased by a storage space behind the seats with a retaining net, large cupholders under the center armrest cover (which folds open in two sections) and roomy door pockets. The trunk capacity is 281 litres (with the soft-top open or closed), an increase of more than 50 percent compared to the previous Z4. An optional trunk through-loading system extends the possibilities for handling longer items during everyday use and when going away on trips. Last edited by toyotaft1admin; 12-07-2018 at 01:53 PM. All this talk about what regular versions will be like is fine and all but to make the original Supra crowd happy, GR versions will have to be intense, just may not as much as GT-R's.